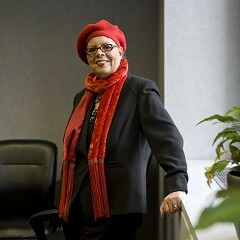 Hey, Karen Lewis: File those petitions for mayor! 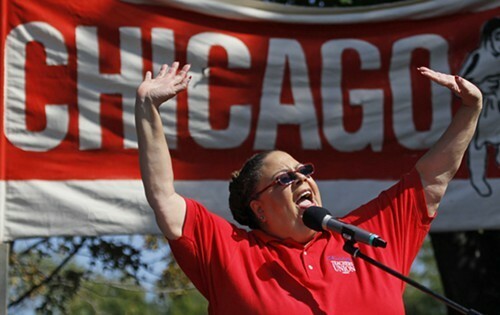 Chicago Teachers Union president Karen Lewis—shown here in 2012—has suspended her mayoral campaign to address health problems. 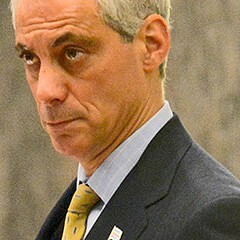 A certain political columnist is hoping she can still give Mayor Emanuel fits. A few days back, I had a conversation with a woman named Pat who was walking her north-side neighborhood, collecting signatures for Karen Lewis's mayoral campaign. The response, Pat said, was unbelievably encouraging. Almost everyone wanted to sign. 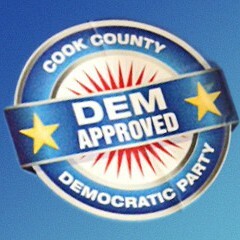 This was, remind you, Mayor Rahm country on the northwest side—in the heart of his old congressional district. "That's why this was so devastating," Pat said, referring to Lewis's recent health problems. "Given the response, I really believed Karen could win." 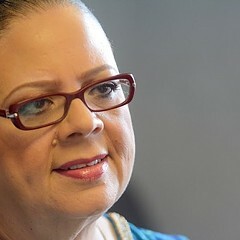 Well, let me play devil's advocate with you, Chicago—I think Karen Lewis should keep that enthusiasm alive by filing her petitions and getting her name on the ballot for the February 24 mayoral election! Okay, let's step back for a moment to review the dizzying events of the last few weeks. As you all know, the Lewis campaign was going gangbusters—even though it wasn't even official. She was running strong in the polls, gathering signatures to make the ballot, and forcing the mayor to move to his political left. If nothing else, Chicago, we should thank Karen for the mere threat of running—without that, who knows if the mayor would have ever gotten around to repaving our crumbling streets. And then on October 5, Lewis was rushed to the hospital, where she underwent emergency surgery to have a cancerous brain tumor removed. On October 13, her campaign manager announced Lewis was shutting down her campaign. And thousands of Chicagoans—like Pat—went into a collective funk over Karen's health and the realization that Rahm's reelection was something of a foregone conclusion. That's why I say: don't waste the signatures. 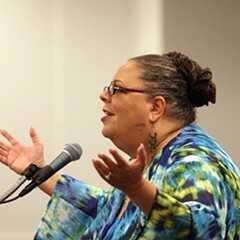 I bet you there are thousands of voters who would gladly vote for Karen Lewis, even if it were a symbolic vote. There might even be enough to force Mayor Emanuel into a runoff, probably against Alderman Robert Fioretti. Hey, man, every freaking vote helps! On another front, it would relieve the mayor of the pressure of having to come up with nice things to say about Lewis, a woman he could barely bring himself to talk to for the last three years. In fact, the mayor's last press statement on Karen's health copied and pasted a sentence from his first press release about Karen's health. 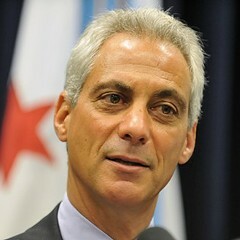 Yo, Mr. Mayor, you got like a zillion dollars in your campaign fund. Hire yourself a writer to come up with a new sentence wishing Karen well. According to my sources—and I've got some very good sources—you're doing better than anyone realizes. From what I hear, you have about five weeks of therapy, starting next week. Just so you know, I happen to come from a long line of excellent chicken-soup makers. Say the word and I'll bring you a batch or two of the good stuff in the hopes that it helps you get you through this ordeal fired up and ready to pick up that campaign where you left off. Because my sources tell me you want to run as much as I want to see you run! But even if you can't run, you need to know that thousands of people were inspired by your campaign. File those petitions, and one way or another, that campaign stays alive.